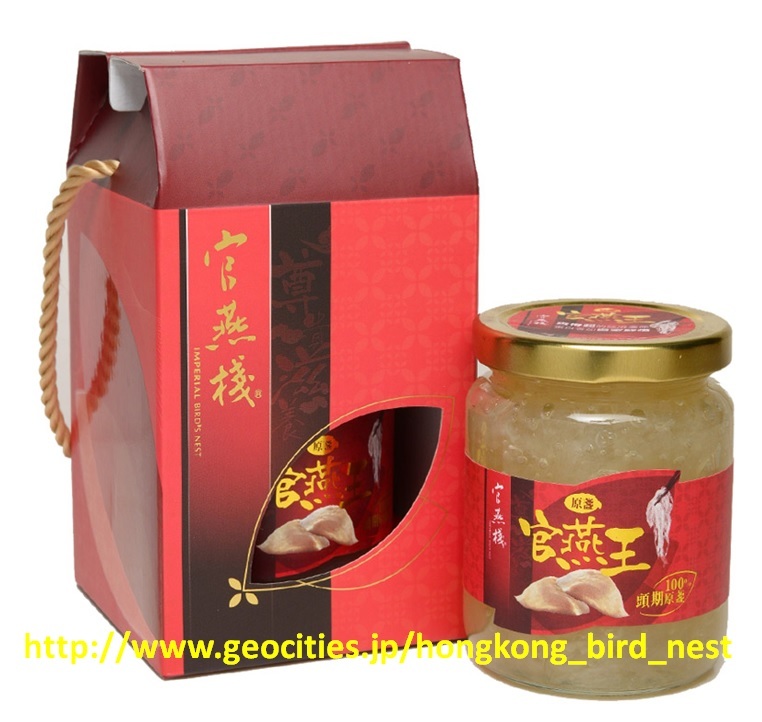 Hong Kong famous branded prepared Bird’s Nest. The bird's nest is of very smooth mouth-feel. Special formula preserves the water-soluble proteins (M.S.F) and epidermal growth factor (EGF). The water-soluble proteins in Bird’s Nest promote cell generation, keep you young, strengthen body and nourish skin. 1 tablespoonful (~10g)every morning. Enough for 10-14 days’ consumption. No artificial colorings, preservatives, stabilizer, artificial fragrance and genetically modified materials added. Recommended to be finished within 10 days after opening. For best results, take it for at least one month continuously. Keep cool and stay out of direct sunlight. Fridge after opening. 1. Made from first grade ‘First phase’ imperial bird’s nest cup under stewing process. 2. The highest quality and the most condensed bird’s nest available in the market . Smooth mouth-feel. 3. Strong egg-white aroma, tasted like home-stewed bird’s nest. 4. Traditional formula combined with high technology retain the highest nutrition of bird’s nest. 5. Vacuum packed, stable quality and hygienic safety guaranteed, no additives and preservatives added. 6. No artificial colourings, preservatives, stabilizer, artificial fragrance and genetically modified materials added. 7. Manufactured by own factory honoured with ISO22000 and HACCP accreditation, best assurance for good quality.